The Hagedorn family founded Reading, Vermont’s Spring Brook Farm in the early 1900s. Today, it is a 1000-acre dairy farm that produces award-winning cheeses from its own farm as well as third-generation, Vermont dairy suppliers, Jericho Hill and Fox Valley Farms. Spring Brook Farm is home to both cheesemaking facilities and livestock, including more than 100 registered Jersey cows. Forty-two are milking cows that produce over 600,000 pounds of milk each year. In 1993, the marriage of the farm’s agricultural and philanthropic philosophies came to fruition. Owned by the Farms for City Kids Foundation, Spring Brook Farm brings education to life by hosting groups of children for weeklong, firsthand farming experiences. Integrated with practical classroom applications of reading‚ writing‚ math‚ social studies, and environmental studies, children experience everyday farm activities such as cheesemaking, caring for farm animals, growing fruits and vegetables, and making maple syrup. All profits from the sale of this month’s selection, the Spring Brook Farm Tarentaise, fund this honorable mission. 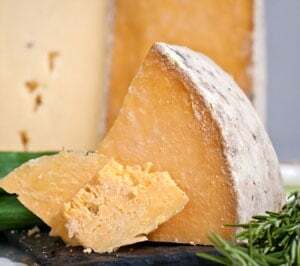 Tarentaise, made by Spring Brook Farm since 2008, has won no fewer than 22 national and international awards to date, including the most recent honors of taking first place in the Farmstead Category Aged 60 days or more at the 2018 American Cheese Society competition, as well as Best of Show at the same event in 2017. Named after a valley in France, Tarentaise is a semi-hard, European Alpine style cheese aged nine to 18 months, with a creamy paste crafted from raw milk that is pumped directly from the milking parlor to the cheesemaking area. It could not be any fresher than that. Tarentaise is a farmstead cheese that reflects the seasonal variations of the cows’ diet as well as Vermont’s weather. It is similar to French, Alpine-style cheeses, such as Beaufort and Comté, in that it has a dominant, winter-season, nutty flavor profile. However, in wheels produced from summer cow’s milk, Tarentaise also shows sweet, floral notes. Well balanced, it is a cheese with complex flavors and a long finish. Spring Brook Farm recommends it be used as a premium companion cheese for a top-flight cheese board, melted as fondue or a topping for vegetables, and added to omelets and frittatas. 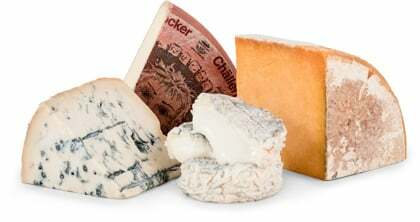 Being an Alpine-style cheese, it pairs well with cool-climate, higher-acid white wines from similar regions such as Alsace and Mosel, such as Piesporter, Pinot Blanc, Pinot Gris, and Riesling. Beer lovers, pair this with brown ales.